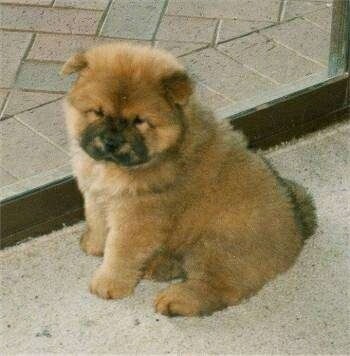 "Dozer is a Chow. 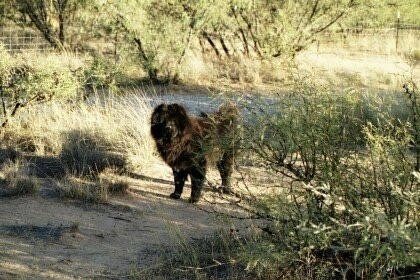 He loves to play ball. 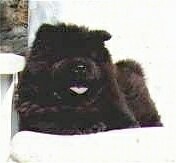 At 6 months old he is still very playful. 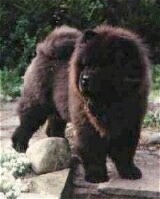 Dozer is also a big eater and when he finishes a meal he will take his food dish to the other side of his pen to let you know that he wants more. 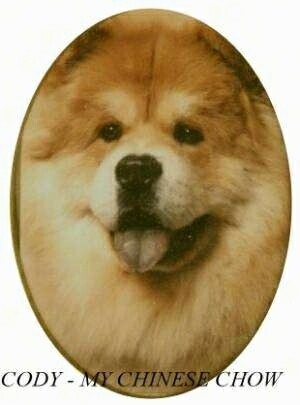 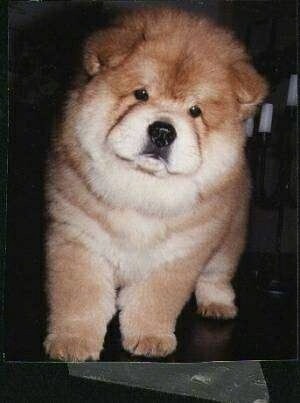 He is an AKC-registered cream Chow." 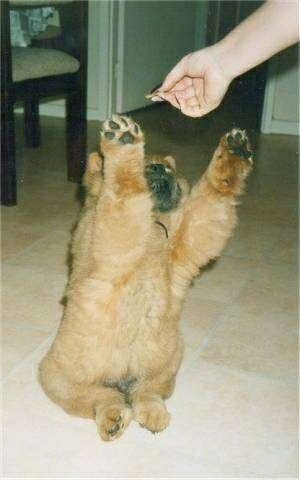 Caboose the Chow Chow puppy with his paws in the air. 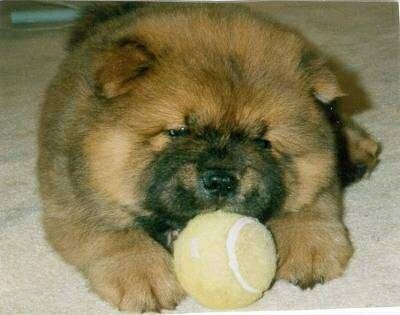 Caboose the Chow Chow puppy with his tennis ball. 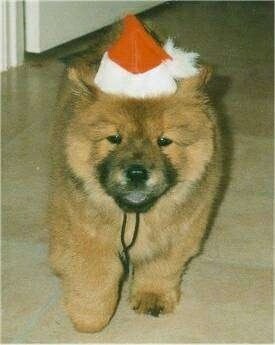 Caboose the Chow Chow puppy wearing a Santa hat. 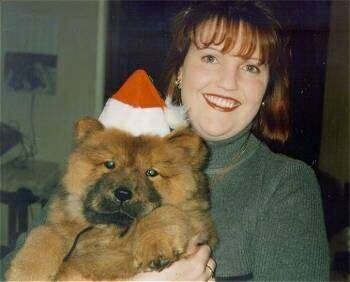 Caboose the Chow Chow puppy wearing a Santa hat, being held by his owner.